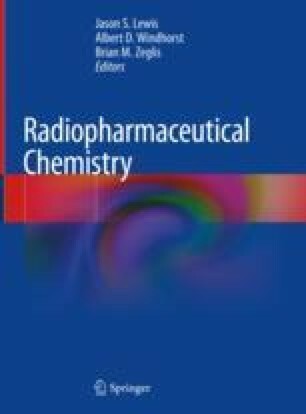 The development of radiopharmaceuticals for positron emission tomography (PET) is an emerging area of research in neuroscience that allows for the early and differential diagnosis of neurological disorders and enables the assessment of the effects of drugs on the central nervous system (CNS). A radiopharmaceutical must fulfill several requirements to be a successful PET tracer in the CNS. These criteria include high specificity and selectivity for the intended target, the efficient penetration of the blood-brain barrier (BBB), high target-to-background contrast ratios, fast clearance from the brain, and a lack of radiolabeled metabolites with the ability to enter the brain. Furthermore, several preclinical in vitro and in vivo experiments must be performed to check if these requirements are met before a tracer can be translated to the clinic. These procedures include binding assays using recombinant proteins and tissue homogenates, in vitro autoradiography experiments using human and animal brain slices, plasma protein binding assays, and in vivo PET studies in rats and mice. Since each of these experiments requires careful consideration, this chapter will give a detailed description of each method and provide practical protocols to ensure that the data can be collected, analyzed, and interpreted in an unbiased manner.